You don’t have to be a great at sports to play Bowls -its allabout having fun! Established in 1996, Youghal Bowls Club, meets in Youghal GAA Club Hall on Tuesdays 1.45 pm to 4 pm, and Thursdays 6.45 pm to 9 pm. Visitors and new members are always welcome – No knowledge of Bowls needed. 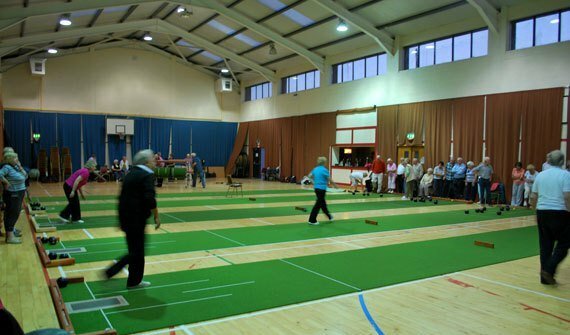 Youghal Bowls Club is affiliated to Cork Zone of the Irish Indoor Bowls Association and play under their rules. We take part in the League and Zone competitions, singles, pairs, triples,fours, Peg Tucker, Martha Tracey and Francis Cody competitions. We also try to support as many of the Club competitions around the county as we can with varying successes. you don’t have to be a great at sports to play Bowls – it is simply wonderfully fun game for all level of skills, and a terrific way of making and meeting new friends. Club Arus Youghal GAA Magners Hill Youghal, Co. Cork.